The newly appointed head of USA Gymnastics resigned just four days after being named to the job on Tuesday following stinging criticism of her appointment by Olympic stars Simone Biles and Alexandra Raisman. Former Republican politician Mary Bono, who had only been revealed as interim chief of the embattled governing body on Friday, said she was quitting over "personal attacks" that made her position untenable. "My withdrawal comes in the wake of personal attacks that left undefended, would have made my leading USAG a liability for the organization." Bono's future in her new role had looked increasingly precarious after criticism by both Biles and Raisman following her appointment. The 56-year-old executive drew the ire of Olympic superstar Biles over a tweet posted by Bono last month in which she was critical of apparel maker Nike following the company's ad campaign featuring ex-NFL star Colin Kaepernick. Bono posted a photo of herself blacking out a Nike logo on a golf shoe as she took part in a charity golf tournament to honor members of the US military. In response, the Nike-sponsored Biles tweeted on Saturday: "*mouth drop* ... don't worry, it's not like we needed a smarter usa gymnastics president, or any sponsors or anything." Raisman, meanwhile, blasted the decision to hire Bono on Monday in a series of strongly worded posts on Twitter that drew attention to the executive's previous work with law firm Faegre Baker Daniels. Raisman alleged that the legal company had advised USA Gymnastics during the Larry Nassar sexual abuse scandal, asserting that the company had helped "cover up" the former team doctor's crimes before they erupted into public view. "Survivors, current gymnasts, families, coaches, gymnastics community & fans deserve better," wrote Raisman, one of more than 250 athletes abused by Nassar, who was jailed for life earlier this year. Raisman, an Olympic gold medallist in 2012 and 2016, is suing both USA Gymnastics and the United States Olympic Committee over the scandal. In her resignation statement on Tuesday, Bono defended her work with Faegre Baker Daniels as well as her criticism of Kaepernick, whose decision to kneel during the US national anthem in order to draw attention to racial injustice has been criticised by some as disrespectful to the military and unpatriotic. "I proudly stand behind my body of work at Faegre Baker Daniels, and appreciated how much the law firm supported my devoting considerable time to the cause of addiction prevention, treatment and recovery," Bono said. "With respect to Mr Kaepernick, he nationally exercised his first amendment right to kneel. I exercised mine: to mark over on my own golf shoes, the logo of the company sponsoring him." Bono, meanwhile, said she believed she could have made a success of the job, citing her own experience as a young gymnast of seeing at first-hand what she described as the "assaulting behavior of a coach." "I would have brought a fire in the belly to ensure that no one as taken with gymnastics as I was at that age, should have to choose between abuse and ambition, or between properly speaking out and promoting success." United States Olympic Committee chief Sarah Hirshland described the debacle surrounding Bono's departure as "unfortunate." "The USOC is committed to working hard with the USAG board to find the right leader who can build gymnastics up to the world-class organization we know that it can and should be," Hirshland said in a statement. Raisman, meanwhile, gave an icy response to Bono's departure, which comes as the USA team prepares for the October 25 World Championships in Doha. "The Olympic family fails us again," Raisman wrote on Twitter. "Another poor hire + familiar statements. Don't worry, USAG/USOC will search for the right leader…again. "Meanwhile, gymnasts prepare for World Championships during another organizational leadership crisis. But hey, athletes are the top priority." Bono's whirlwind tenure is another humiliating body blow to USA Gymnastics, which has lurched from one self-inflicted crisis to the next as it struggles to rebuild in the aftermath of the Nassar scandal. 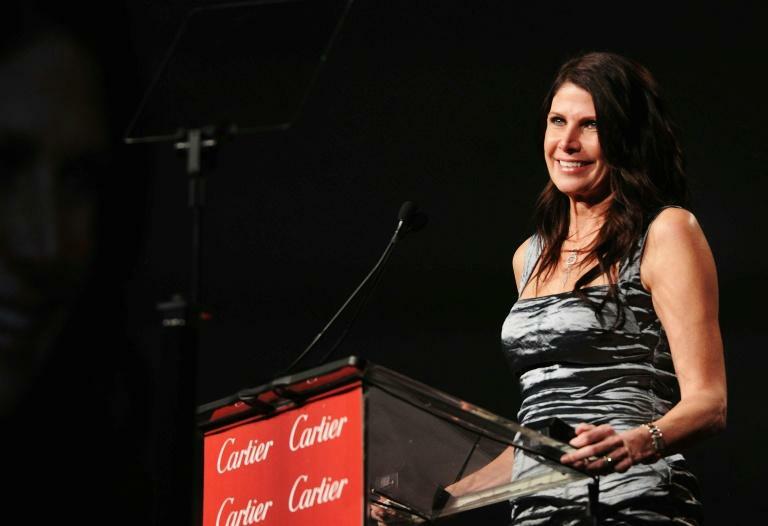 Bono took over after USA Gymnastics was forced to part company with chief executive Kerry Perry last month. Perry resigned under pressure from the US Olympic Committee after only nine months in the job. Her departure came after the appointment and resignation of elite coach Mary Lee Tracy -- who had made comments supportive of Nassar in 2016 when allegations of abuse against him had begun to emerge.